Nancy Weiss, Client Service Associate,started at LWM in July of 2017. 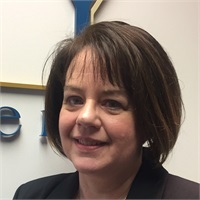 She received a Bachelor of Arts degree in Elementary Education from King’s College and upon graduation worked in the financial industry for 10 years as a Client Service Associate. After the birth of her children, she switched gears and spent 13 years molding and shaping the next generation as a Preschool Director and teacher. Now that her children are young adults, she is excited to re-enter the workforce full-time and interact with clients to assist them with their account inquires. In her spare time, she enjoys reading, cooking, and baking and spending time with her family. She resides in Emmaus with her husband George, and 3 of their 4 children, Michael, Megan, and William.